Yanni Niebuhr, CFP® is Director of Investment Operations at BFG Financial Advisors. His primary roles are to collaborate with the firm’s advisory team in the development of financial planning and wealth management advice and then delivering and implementing recommendations for the firm’s clients. In addition, he currently serves on the firm’s investment committee, where he assists in the firm’s due diligence process in selecting asset managers and investment vendors and partners. 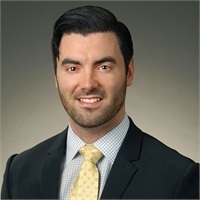 Mr. Niebuhr joined Brotman Financial Group as an intern in 2011, and joined the firm’s investment operations department full time later that year. In 2014, he was promoted to Associate Advisor, providing technical support for the firm’s lead financial advisors on all client work, including handling client inquiries, preparing for and attending meetings, and completing the necessary follow-up. 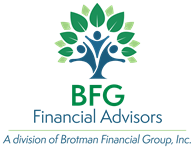 In 2019 the firm changed its corporate identity to BFG Financial Advisors and he advanced to Director of Investment Operations and Principal. Mr. Niebuhr holds a Bachelor of Science degree from Towson University. He earned his CERTIFIED FINANCIAL PLANNERTM (CFP®) designation in 2015 and holds his FINRA Series 7 (General Securities Representative) and 66 (Uniform Combine State Law Examination) licenses through Kestra Investment Services, LLC.